Dystopian novel with Not-So-Distant future and very interesting title. It starts with a subtle story of ambitious cubicle dweller, celebrating his recent promotion. All hell broke down from second chapter. 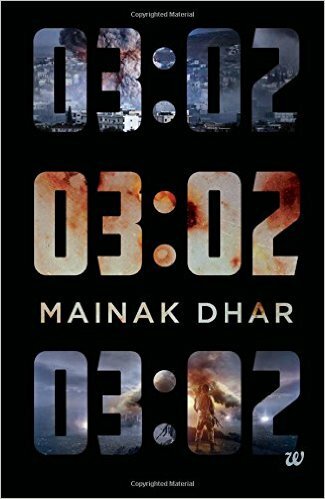 Well thought dystopia thriller, which will keep you on the edge from the first page till the epilogue. Author created elaborated plots and sub-plots without any loose ends. As a reader, first person narration always intrigued me and in this case author absolutely nailed it. Almost all aspects of the story along with the back stories, descriptions and setting were described beautifully from the prospective of the protagonist. This type of storytelling definitely restrict story to a boundary making protagonist center of the universe but Mainak handled it perfectly by attaching protagonist to threads of all events important for the pace of the story. Best part of the novel was the transformation of common man from a fearful human to a brutal killing machine for the sake of survival. How societies turned into tribes and the raw human instincts kicking to tackle the hostile and brutal enemies. How the tranquilizing nature of human soul was tarnished with violence in the shadow of fear and death. Mainak did a wonderful job in describing the inner conflict of keeping sense of repentance alive while killing brutally for the greater good. Effort to bring order in Chaos while dealing with the bigger questions in hand. Question which will haunt every reader till the end of the novel is, Will it ever be normal again? Some aspects of the novel raise serious concerns on our technology centric life. How we forget the importance of a simple conversation over social media frenzy, how our patriotism doesn’t go beyond liking facebook pages and retweeting nationalism. I got goose bumps while reading some of the chapters towards the climax. My heart was filled with fear and darkness while reading the first confrontation with the enemy. I will not give any spoilers, but the setting of the story, selection of the enemy, survival tactics all very believable. God forbid, we may someday face similar kind of threat where the stakes are high and danger is potent.